The publishing industry is madness. The highs and lows. Struggles with self-doubt. Elation after completing a project or receiving an offer. Talk about a wild world. Embarking upon a writing career means you’re bound to encounter sky high victories and Grand Canyon moments of discouragement. The publishing industry is madness, but it’s a madness I fully embrace. 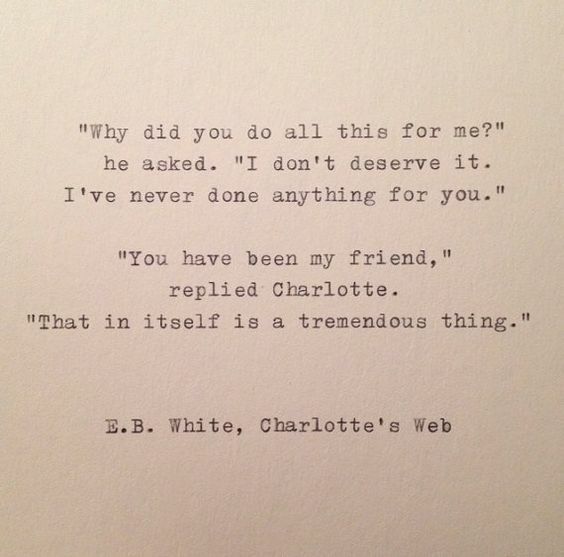 This said, there are few things that I’ve found to be as motivating and bolstering as my author friends. They get the journey. 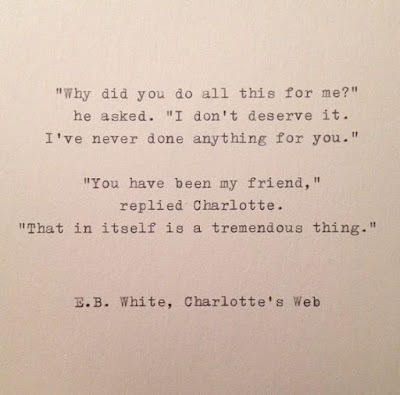 I’ve been blessed with some of the most genuine, thoughtful, and encouraging author friends out there. This post is for you—a thank you. Because I don’t forget. You’ve left a lasting impression on me. You’ve helped me to stay the course. Now, back to my WIP. I was born from story. In a story. I’ve discussed what’s in a name on this blog before. Today I’m getting personal. What’s in my name? The name Wendy originated from Peter Pan. And Wendy wasn’t just a casual mention in this epic tale. Wendy was a storyteller. She passed hope on to the Lost Boys. Her stories meant something to people. And here I am all these years later. A real Wendy. Inspired to do the same. Maybe we’re all born of stories. years, growing our book shelves and our outlook on the world and those we share it with. Incredible relationships have formed. Unforgettable conversations have taken place. That being said, I’ve met plenty of people who’ve wanted to know what makes it work. 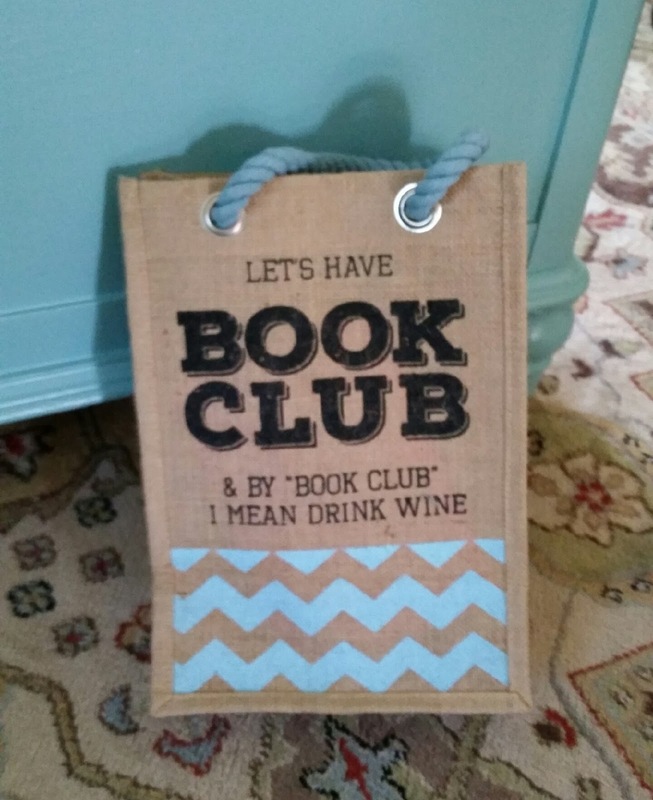 I’ve heard stories about book clubs that have imploded and crumbled until eventually they fizzled out entirely. I’ve read hundreds of novels in my day. But that’s not all I read. I love books on leadership, creativity, group dynamics, growth, inspiration, etc. And I’ve read enough of these to know, as well as have taken on leadership roles in almost every stage of my life, that cohesiveness and group dynamics are sometimes a pliable experiment. With the knowledge I’ve gained through the years, my own book club experiences, and my observations having visited over two dozen book clubs as an author, I’m offering some potential reasons why you’re book club might be slowly dying. Somewhere along the way the focus of your group slipped off track. The ohs and ahs were in response to the elaborate food and wine selection, the upscale restaurant choice, even the over-your-head book you selected because you wanted to come across smart. A book club can derail when it becomes a show—all about the money and not about the content inside the book and the people in the group. I was asked to discuss THE FLOWER GIRLS with a thriving group in town. They meet up at a restaurant every month. This works for them. But it might not for your group. Find what works. Word hard to keep the focus where it belongs. The way I see it, a successful group shouldn’t care if you show up in Banana Republic attire or a pajama top your toddler smeared with bananas. I love Wally Lamb. He’s been a huge inspiration for my work for years. 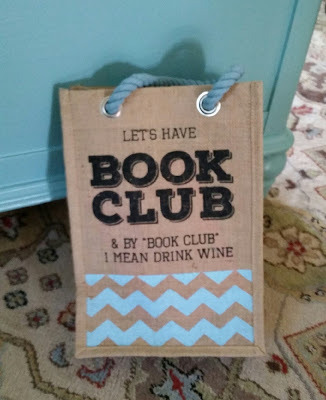 However, I’d think twice before I’d choose I KNOW THIS MUCH IS TRUE for my book club. I’m confident it would lead to a great discussion, but I’m also mindful how busy the women in my group are. It just wouldn’t fly. Women and yes, men, the length of a book matters. There are some fantastic lengthier reads out there. Ask your group how much they can handle. I know in my case there are women who show up each month that simply couldn’t get the book read. I think they’d see a 900-page book and say fuget about it before they opened the first page. Anyone who has ever been in a group knows exactly who Opinion Opal is. She’s not a group killer per se, but she sure can put a bruise in a book club. When one person dominates most of the discussion it can sour the overall group experience and dissuade the more timid souls in the group from speaking up, especially if Opal is a bully-type. There are ways to help this situation. Select different leaders each month. Have the person who chose the book lead the discussion. Or, do it my favorite way and get with O.O. one-on-one. Understand where she’s coming from. It’s amazing how, once someone feels understood, they become more open to change. By the time book club wraps up not only do you know every single thing Gabby felt about all nine of the characters in the book, you also know what shoe size her four kids are, what kind of coffee her husband drinks, and her bra size. We can all have our Gabby nights, but if you find you’ve got a repeat Gabby in your group it can make members think twice about showing up to the next club. Book club questions are a real life saver when it comes to Gabby. Okay, I get it. There’s nothing like having an excuse to get your friends together, drink wine, eat expensive cheese, and laugh until it hurts. But one thing I don’t get is book clubs that never read or discuss the book. I’ve visited enough book clubs to appreciate when the book launches into other stimulating discussions. That’s not what I’m referring to here. I’m talking about when members show up having no clue which book was to be read this month. If there’s an inconsistent understanding of whether or not members actually want to discuss the book that can rattle the core of a group that calls themselves a book club. If that’s your group, I give you permission. Right here and now. Call yourself wine lovers. Do it and be proud. But if you’re never reading or enjoying any kind of book discussion, don’t slap a label on something that can’t own it. Nothing like an inconsistent meeting time to throw a group into a complete tizzy. If members can’t circle a date on a calendar (listen to me, I’m such a ’90s chick with my calendar circling) or type a time in their iPhone, it’s not happening. We’re all too busy. Irregular or inconsistent meeting times could be what’s causing the dropouts. If the last five books your group has read are about an Alzheimer’s patient I can guarantee one of two things is going to happen. Either you’re all going to get hyper-paranoid you’re in the early stages of dementia, or members are going to begin booking other events the night of the club, dissing the meeting. Variety is key. I’m not saying you have to hop from self-help to biography to memoir to psychological suspense. I’m only saying you should read my books. They’re unique and give you plenty to discuss (shameless plug). Seriously, variety helps. A wonderful plan for this is throwing several options for each month in a hat and letting the group decide the final vote. Oh yeah, I said it. Before, I mean. And now again. Because the size of your group matters. It really does. I’ve read countless times, in leadership books, how six to eight people is the ideal group size for a discussion. This isn’t to say that if you have twelve you should immediately kick four members out. Because most of us realize there will always be no-shows. It also doesn’t mean your quaint group of four needs to recruit like the Girl Scouts on crack. (Scary image, I apologize). It’s simply good to know. And if you’re group is hurting, it could have to do more with size than you realize. So, there you have it. Perhaps I didn’t list one of the reasons why you sense your group is struggling. I’d love to revisit this topic. Clearly, it’s something I feel passionate about. It’s because of the profound impact my book clubs have had in my life. I want that for you. Feel free to reach out and let me know how it’s going. Is he alone or madly focused on composing? Does everyone in the bar have their eyes on him? Is he flying across country wanting to smother the old man snoring by his side? Has his checked his children’s bedrooms a dozen times since the break in? Does his back hurt too much for him to sleep? Is she just getting up for work? Does she wake to write down her dreams, convinced they mean something? Is she reaching for the man by her side or turning her back to him, tears sliding down her cheeks? Is the cat asleep on her head again? Does she pace the room, debating whether she should pop yet another sleeping pill? Where are her slippers? Her favorite books? Her clothes laid out for tomorrow? Does he wake up now so no one will see him leave his apartment, no one will know? Is he sweating? Trembling because the sickness has taken ahold of his entire body? Or because he’s going through withdrawal? Is he calling his father to tell him he’s sorry because he knows he’ll never pick up in the night? How many lights does he have on the phone? Is there food by his bed? Cigarettes? The Catcher in the Rye, his favorite book from high school? Is his headache keeping him from getting out of bed? Does he snap open the paper and read for hours upon his Egyptian cotton sheets? Do yoga in bed? Close his eyes and pretend to be making love to his late wife? How many soaps are in the shower waiting for him? What kind? Is his bathroom dirty? Does he nick himself shaving? Often or almost never? Is she quiet when she gets up, or does she blare “What’s Going On?” by the Four Non-Blondes? Does her dog pounce on her, anxious to go out? Does her teenage daughter slam the doors and curse because her son has claimed the bathroom first? Is she well-rested? Excited about the day? Dreading every moment that’s to come? What’s the first mirror she looks in? Is she at peace with what she sees? Did the garbage truck wake her up again? The birds? Her husband with a scary-confused look on his face? Is he late again? How many cups of coffee does he consume? Does he wake up on the street next to a homeless guy? Is traffic the thing that’s going to make him seriously lose it? Does he whistle on his way into the office? Check his phone a million times? Overly tip the cab driver? Is he sure that she’ll see the zit that’s formed a crater on his face? Or the stupid ways his legs look in gym shorts? Or will she make fun of how he croaks when he’s called upon in class? Does she ride with friends to work to save on gas? Or is that just what she says, but she appreciates that they’re built-in designated drivers after their late nights? How much time did she spend on makeup? Her hair? Her presentation? Does she open the fridge and cringe at how little food there is to pack in each of the brown bags her kids take to school? Is there a wine spill on the living room carpet she has no idea how it got there? But fears it has something to do with her fourteen-year-old and the friend she had over last night? Is she self-conscious about her breath, lack of bras that fit, scuffed shoes? Does he take the first meeting of the day outside? Is a kayak ride exactly what he needed this morning? A good lay? More drugs? More money? Less stress? Some kind of reconnection to the faith he had in his youth? Is he already tired? Hyper-energized and annoying everyone in the office around him with his inappropriate jokes he hopes will get him fired someday soon? Is she staring at naked body in the mirror? Pumped at the weight she lost? Mad about the breast she lost? Terrified at not knowing more about the virginity she lost? Does she make a list of pros and cons to finally make up her mind? Or a grocery list? Or reasons to die or not to die? Is she crazy bubbly or depressingly dull at this hour? Does she wish everyone could see the party side of her that comes out during late night hours? Is she going to confront her professor, scared he will flunk her if she goes in with the truth? Does he quit and go buy a boat? A flight? A tennis racket? Is his belly grumbling and he finds himself cursing his stomach staple surgery? Does he get embarrassed when his cheeks flush, afraid everyone at school will say his girly? Is he “too” girly? For himself? His dad? Why does he care? Is he tired of caring? Does he put on his new super expensive sneakers, but then find himself cleaning them off every hour so they won’t get dirty? Does he buy his friend lunch? Does he climb the tree he knows is outside her window? And stalk her? Propose to her? Knock and smile? *Excited to launch my new website. Goal is for launch is this summer!